Hakonen system, Lonetrek region. On the 30th of January at 16:00 EVE Standard Time, Circle-Of-Two [CO2] clashed again with Project.Mayhem. [16-13] and allies over a tower in the system. The two sides continue their war over towers in the Lonetrek region, this time in the Hakonen system where a Circle-Of-Two tower was reinforced by Project.Mayhem. forces and exiting its invulnerability mode. As before, both sides formed up for a major battle, choosing mirror compositions as the two sides assembled Machariel battleship fleets. Circle-Of-Two prepared a 130 pilot fleet which arrived first in the system, waiting on the tower for the hostiles to enter. Project.Mayhem., aided by Snuffed Out [B B C] managed to pull 90 pilots, the combined fleet meeting on the Hakonen gate in the Nalvula system before jumping in and warping to the tower at close range. This prompted the Circle-Of-Two fleet to warp to a perch above the tower before warping back down again near the hostile fleet and starting the battle. Both sides exchanged auto-cannon fire at close range as the two fleets maneuvered on grid. Circle-Of-Two immediately brought 3 triage carriers to help it tank the incoming fire as it lost a few mainline ships in the opening volleys. The hostile fleet managed to soak the incoming damage for the most part, however suffered a heavy blow when Circle-Of-Two command destroyers were able to teleport part of its logistics wing away from the main force. This allowed the Circle-Of-Two fleet to destroy a few of the Guardian logistics cruisers and in turn weaken the logistics backbone. With their logistics compromised, the Project.Mayhem. fleet commanders called for triage support, lighting a cynosural beacon on the field and jumping in two Archon carriers. Yet even with the triage carriers on field, the joint fleet was unable to tank, losing mainline ships in rapid succession. Thus, a quick decision was made to warp the fleet to the station, leaving behind the triage carriers which were easily dispatched by the Circle-Of-Two’s Machariels. It seems though that in its eagerness to follow the hostile fleet to the station, one of the Circle-Of-Two triage carriers had warped ahead of the fleet and was easily dispatched by the hostile Machariels who then promptly docked up. This led the Circle-Of-Two fleet to return to its tower as it waited for the hostiles to make their move. Project.Mayhem. and Snuffed Out decided to once again engage, having replenished their logistics numbers though losing 20 pilots in the process, bringing the overall number of ships in fleet to a mere 70. Regardless, they un-docked and warped once again to the tower, starting another close range brawl with the Circle-Of-Two fleet. This coincided with a Mercenary Coalition [MC] Machariel fleet which entered the system with the intention of helping the hostile fleet. This force, estimated at 50 pilots, warped to a 100 kilometers from the two fleets and proceeded to snipe from long distance. Hammered by the two fleets, the Circle-Of-Two Machariels started breaking as logistics could not handle the rapid switches as well as the powerful barrages the Mercenary Coalition’s artillery cannons were able to hurl from range. Though managing to return the favor and inflict casualties on the hostile fleets, Circle-Of-Two fleet commanders decided to further escalate the battle and lit a cynosural beacon, ushering into the field a squadron of supercarriers. With the supercarriers on field, the hostile fleet quickly retreated, losing only a couple of ships in the process as the supercarriers unleashed their fighter swarm on the unsuspecting battleships. With the joint fleet out of the picture, the attention of the Circle-Of-Two force switched to the Mercenary Coalition fleet. With both the Machariels and the swarm of fighters focusing on it, they sustained heavy casualties and were forced to retreat, losing ships in the process as the Circle-Of-Two interceptors and heavy interdictors attempted to tackle as many fleeing Machariels as possible. With the grid clear of hostiles, Circle-Of-Two quickly secured the system and repaired the tower, thus winning both the field and the strategic objective, ending the fight. Battle report for the Hakonen system can be found here. All told the battle lasted 50 minutes with a break in the fighting and the system hosting less than 300 pilots at the peak of the engagement. Time Dilation was not reported as an issue during the entire affair. 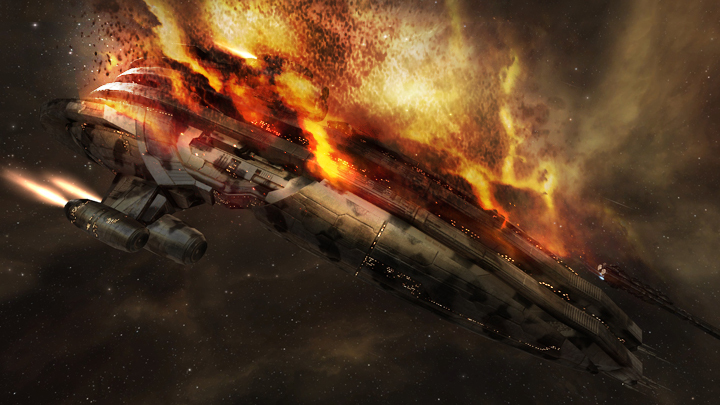 Circle-Of-Two forces lost 30 ships including 1 carrier and 8 battleships for a total of 9.67 billion ISK damage. Project.Mayhem., Snuffed Out and Mercenary Coalition lost 48 ships in total, including 2 carriers and 31 battleships for a total of 43.57 billion ISK damage. thus far? I amazed with the research you made to make this actual submit amazing. Thanks , I have just been looking for information about this topic for ages and yours is the best I’ve discovered so far. since this this website conations genuinely fastidious funny information too. Wonderful goods from you, man. I’ve be aware your stuff prior to and you are simply extremely great. from you. That is really a terrific web site. of coding but I had been hoping to start my own blog in the near future. Stay up the great work! You realize, many individuals are hunting round for this information, you can help them greatly. What a data of un-ambiguity and preserveness of precious know-how concerning unexpected emotions. Gasoline hearth also keeps working in energy outages. You ought to take part in a contest for one of the highest quality websites on the web. I most certainly will recommend this site!